The teachers in St. Patrick's N.S. 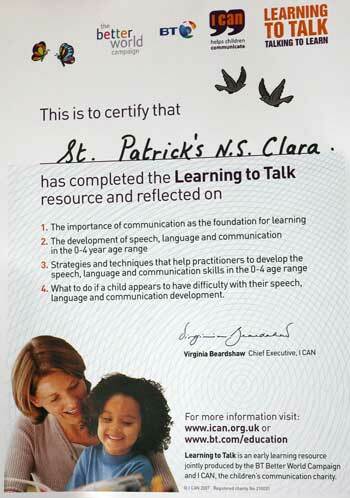 Clara recently took part in a whole school training programme on Speech & Language. 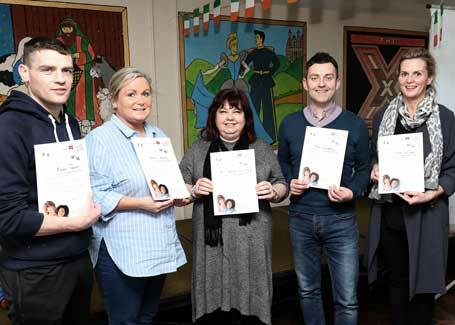 The certified 'I Can' course was delivered by Geraldine Parks an Educational Lecturer in St Mary's University, Belfast. The course highlighted the importance of communication as the foundation of learning. The teachers were given strategies and techniques to help develop the speech, language and communication skills of children. The course also help identify and target areas if a child appears to have difficulty with their speech, language and communication development. The teachers in St Patrick's National School, Clara are the first school to be trained in this programme in Co. Monaghan. Geraldine Parks will be delivering a certified course for parents starting on Thursday March 23rd for four weeks in St. Patrick's N.S. This course is open to the wider community and if you require further information please contact Pauline on 047-87569.